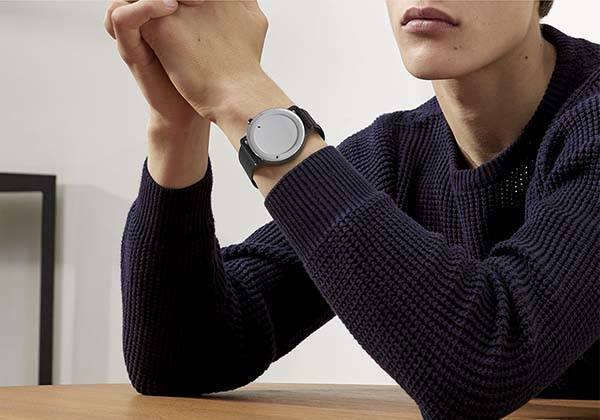 The MINIMUM hybrid smartwatch delivers a discreet way to notify you incoming notifications from your smartphone using a customizable LED light, and the minimal look ensures it matches well with different personal styles. Like the idea? Let’s have a look. 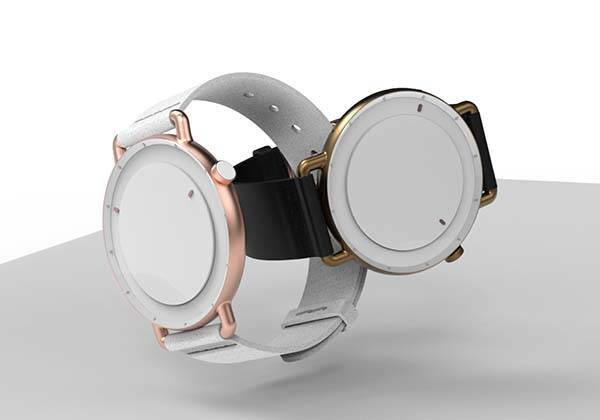 Josep Pedro, a Spanish industrial designer came up with the concept hybrid smartwatch named MINIMUM. 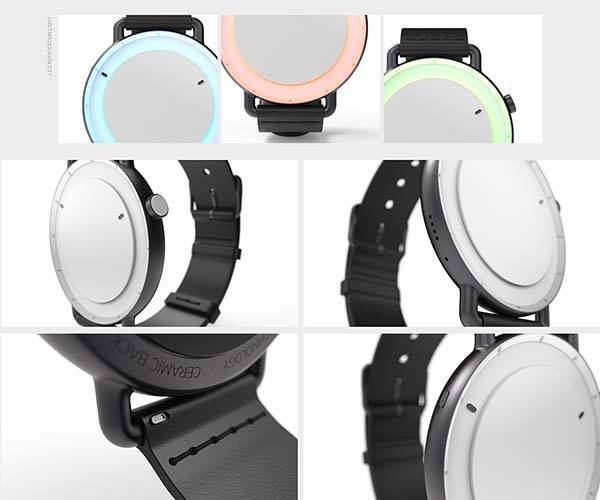 As its name implies, the smart wearable shows off a charming minimalistic appearance design, and the rounded dial emits classic aesthetics that perfectly combines with modern elegance from bead blast metallic finish and ultra-slim form factor, while the interchangeable watchband brings some personalized style onto your wrist. 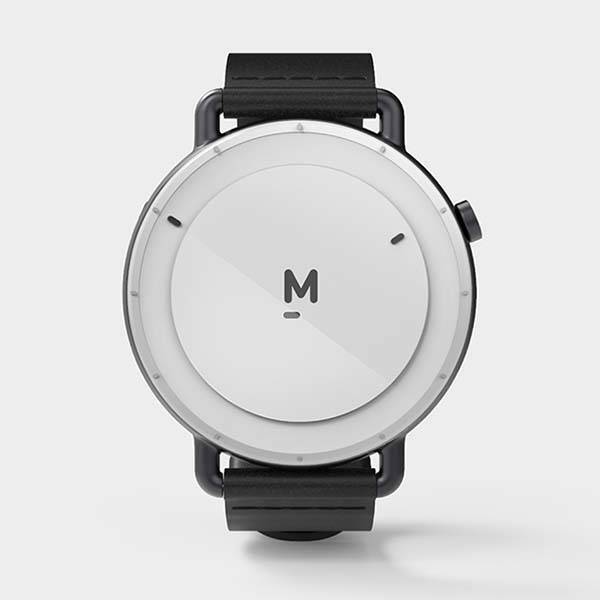 The hybrid smartwatch features a two-layer watch dial. The top layer is an E-ink display that shows you time, data entry and other info from the connected smartphone. Under the top layer, there is built-in LED light in order to deliver a glowing out ring. The LED light is customizable to show you different colors based on the notifications specified by its companion app. The LED light can also be used before an alarm sounds to help us wake up in an easier way. 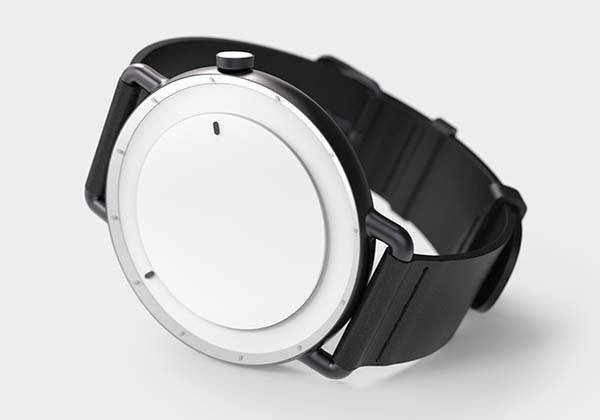 Moreover, a notification switch allows you to quickly switch between analog mode and smart mode, while its crown is workable in both modes by rotation and press movement. After the break, check out the images about the design concept.